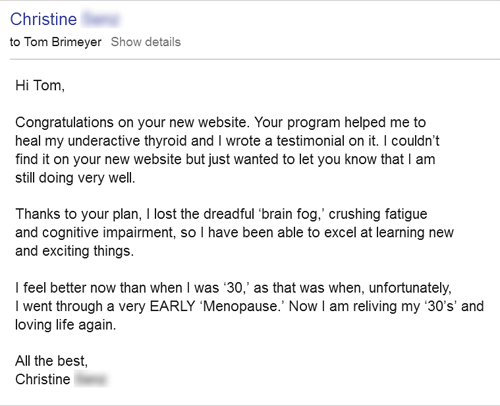 The fatigue that oftentimes goes hand-in-hand with hypothyroidism can be debilitating and stop you right in your tracks. 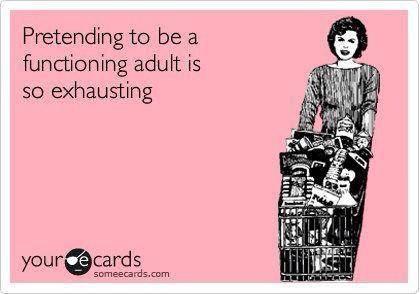 And because most people don’t see hypothyroidism as the serious health concern it really is, they really don’t understand what you’re going through. It can be overwhelming just trying to act like a normal person and pretending that there’s nothing wrong with you. You shouldn’t be spending what little energy you do have trying to act like everything is OK when it’s obviously not. And while we live in a world where you’re told to just take your thyroid medication and everything will be OK, everyone knows that’s simply NOT true. In fact, when it comes to the hypothyroidism fatigue, there’s much more involved than a lack of thyroid hormone. 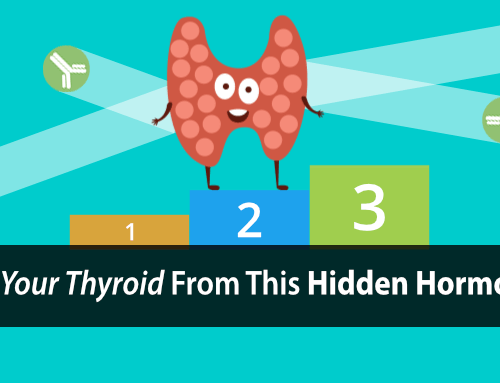 There are many other factors related to healthy thyroid function and metabolism that have to be addressed too, including your Thyroid Hormone Pathway. By focusing on some of these other factors, you can do a lot to naturally increase your energy, even without the use of medication. 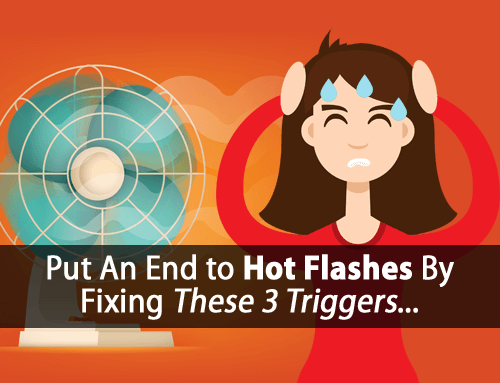 So, here are some simple yet proven ways to increase your energy and help make your days easier, even if you’re still struggling with hypothyroidism. None of these are complicated. Some are related to diet while others are simple things you can do within minutes and all from the comfort of your own home. All will help you to start feeling like a new you. Saying that I talk A LOT about blood sugar handling and the liver dysfunction associated with hypothyroidism would be an understatement. But when it comes to energy production, nothing hits you harder than your inability to produce and use glycogen... a storage form of sugar essential to the health of you and your thyroid. …if you run out of fuel then you can’t produce energy and you’re stuck going nowhere. And fruit, containing healthy sugars is known to help your body produce glycogen more efficiently to keep more fuel in your gas tank. Yet, research has shown that the more fruit you eat, the less your risk of diabetes. And fruit has also been shown to be very protective for those who are already diabetic. Diabetes is NOT a sugar disease as you might have been led to believe. It’s a metabolic dysfunction that prevents you from delivering sugar(only the glucose form) to your cells efficiently. Elevated blood sugar is simply a result of the dysfunction, and cutting sugar out of your diet does nothing to fix this dysfunction. However, fruit sugar (fructose) has two huge benefits (especially for diabetics and insulin resistance). It can be delivered to your cells easily and metabolized by diabetics without the need for insulin. It further improves your cells’ ability to metabolize glucose thus improving the diabetic dysfunction. …rather than simply covering the problem up with a Band-Aid as most do by trying to remove even healthy sugars from their diet. Well, there’s a lot of truth to this, especially when it comes to the fats in your diet. You may not know this but your fat cells are made up of the types of fats that you eat in your diet. If you’re consuming much if any PUFA (polyunsaturated fat) in your diet then these fats will be stored in your fats cells and circulate through your bloodstream where they suppress your metabolism and thyroid function. 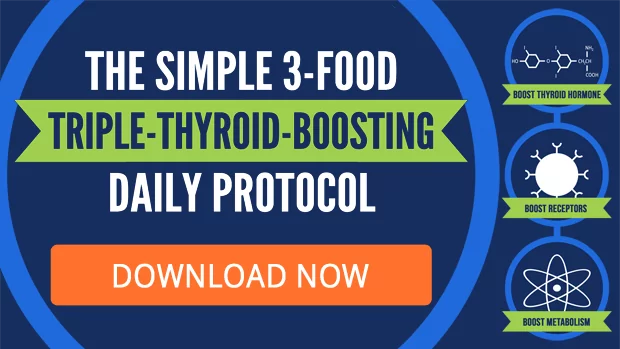 And Dr. Raymond Peat has shown through his research that it can take a good year to detoxify the majority of PUFAs stored in your fat cells… and 3 years to detoxify the majority of PUFAs stored in your brain. …some saturated fats have a direct effect of on your thyroid function that can provide a more immediate effect on your energy. Saturated fats like coconut oil and butter are rich in butyric acid which research has shown to increase the number of thyroid hormone cell receptors. 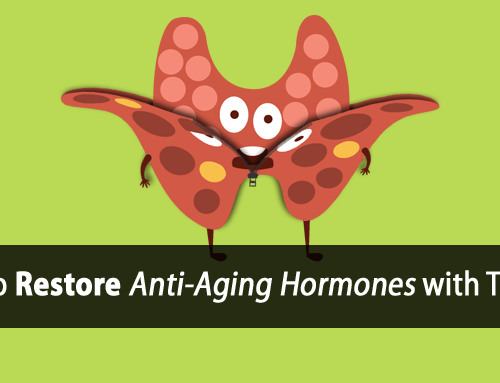 In other words, your cells can use more thyroid hormone and use it more efficiently to give you even more energy. There are many benefits of getting adequate sunlight and this alone can oftentimes improve your energy levels throughout the day. But when it comes to thyroid health, red and near-infrared light (600-1070nm wavelength) are even more important. And emerging research is continuing to show just how effective red light therapy is for healing hypothyroidism and improving energy production. It works by activating an important energy cycle enzyme called cytochrome c oxidase. And by activating this important enzyme using light therapy, it increases the amount of ATP (adenosine triphosphate) in your tissue, which is your primary source of high energy production. Simply put, the more ATP you have available, the more energy you can produce. Magnesium deficiency is a well known and common problem with hypothyroidism. 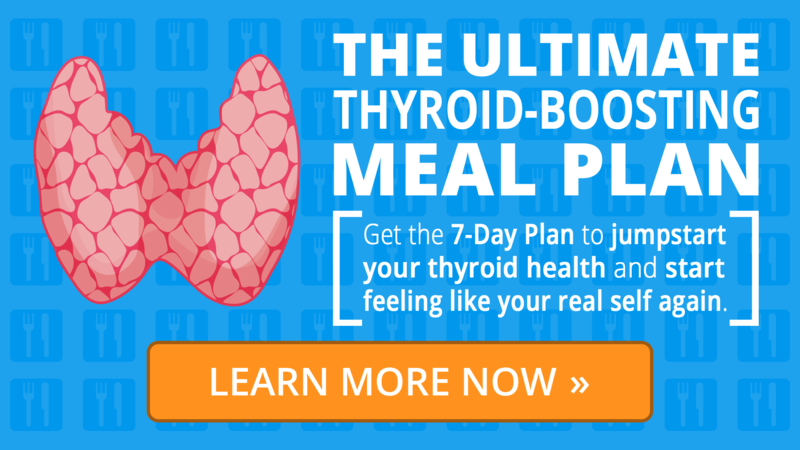 In fact, when you are hypothyroid the resulting stress response depletes your body of magnesium rather quickly, which poses a major problem for energy production. 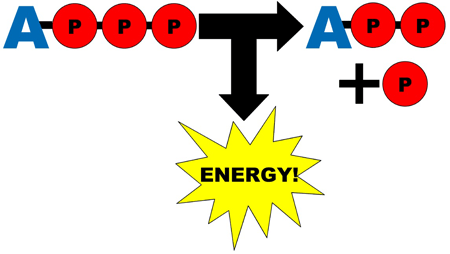 As mentioned previously, you use the ATP in your cells as your primary source of energy production. But this ATP must be bound to magnesium in order for your body to be able to use it efficiently to produce that large amount of energy. So, being deficient in magnesium is a common cause of thyroid related fatigue. While getting adequate magnesium is important, it’s just as (or even more) important to fix the other end of the problem… which is to prevent your body from rapidly wasting what magnesium you do have. 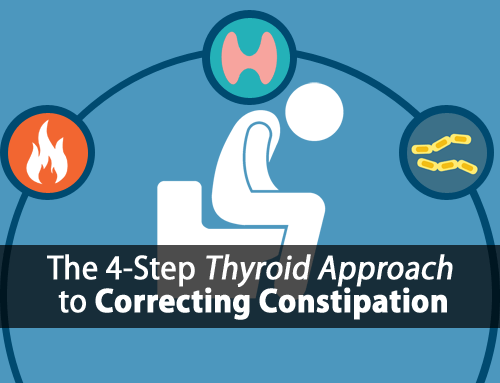 One such way to do this is simply supplementing the right kind of active thyroid hormone. You also want to make sure you get adequate amounts of magnesium from magnesium rich foods such as oranges and meats. However, there are also other therapeutic ways of getting more magnesium, such as the use of Epsom salt baths and the application of magnesium oil to the skin. I’ve used magnesium oil with many clients with great success. Not only does the stress of hypothyroidism deplete you of magnesium, it depletes you of carbon dioxide too. And while most think of carbon dioxide as merely a waste byproduct of breathing, it actually plays an essential role in keeping your metabolism healthy, inflammation low, and your energy levels high. When under the stress of hypothyroidism, your body produces less carbon dioxide while also losing it rapidly as a result of heavier and more rapid breathing. This excessive loss of carbon dioxide leads to the over-production of serotonin and lactic acid, which further activate your stress response, suppress your thyroid, and result in significant inflammation within your body. Research has shown fatigue to be strongly correlated with this rise in serotonin that occurs with hypothyroidism, particularly with respect to brain function. And anything you can do to improve your carbon dioxide retention will also help to reduce serotonin and the fatigue that goes with it. One simple way to do this is through bag breathing. 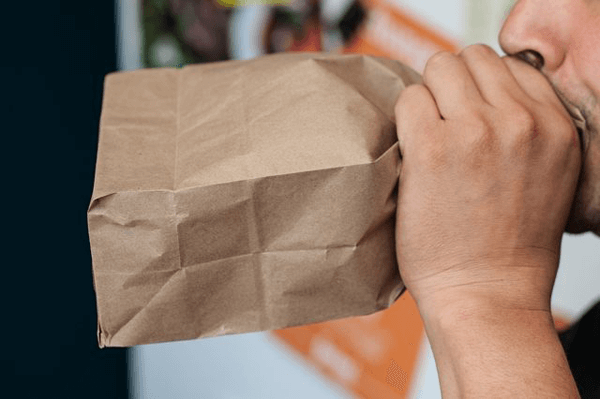 By breathing in and out of a paper bag you are effectively breathing back in a higher concentration of carbon dioxide. Doing this on and off for a few minutes is typically enough to build up enough carbon dioxide to have a temporary therapeutic effect. (Note: I talk about this in more detail in this article on “How To End Insomnia and Wake Up Refreshed With Hypothyroidism”). Another way to increase carbon dioxide is by supplementing baking soda which releases carbon dioxide as it comes into contact with your stomach acid. In fact, supplementing baking soda is widely used by many high performance athletes during training and competition because the increase in carbon dioxide allows them to produce even more energy while preventing muscular fatigue. We just covered five 100% natural and very simple ways that you can fight fatigue from the comfort of your own home… no medication needed. 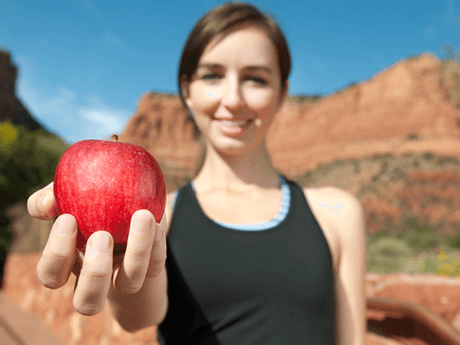 While this is by no means an exhaustive list, these are some of the simplest ways that will make the biggest difference in your energy levels day in and day out. 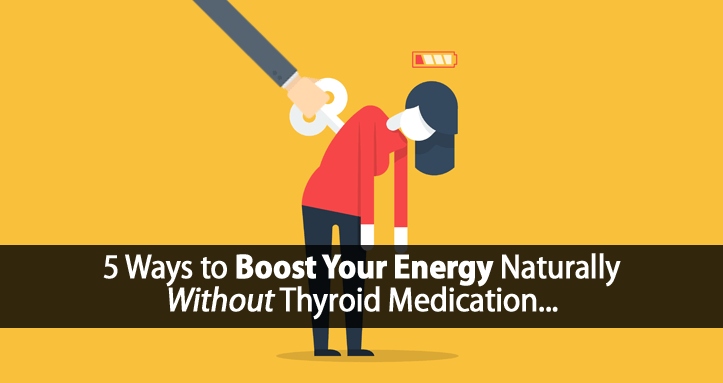 And once you have more energy, the key is to keep that momentum going by investing that energy in doing more to help you improve your thyroid health so you can feel even better yet. Interesting stuff indeed and yes I know some of it works from first hand experience because I too have found many of these same methods. Keep up the good work ! How do feel about juicing? I’ve been a follower of the Tyler tolman recently and not actually done a fast as yet as I only just got a blood test result from my doctor with low levels. He said to be re-tested in 6 weeks and we’ll go from there. Part of me wants to make changes straight away and the other wants too if the other test shows same results and then make changes to prove I don’t need medication. Might explain why I’m craving sugar. Thanks for the tips . Hi Sandra, sugar cravings occur due to hypoglycemia or when your cells/brain are deprived of glucose.